Most people know ginger as a spicy ingredient for cooking, whether that’s in cakes, cookies, or Asian cuisines. However, there’s much more to this warming root than its delicious flavor. Whether you take it fresh, juiced, powdered, or in supplement form, there are many powerful ginger health benefits. Click here for delicious diabetic-friendly smoothies for weight loss! Whether it’s caused by illness, motion sickness, or morning sickness, nausea can make life miserable. Ginger has long been used as a safe remedy for stomach upsets, reducing vomiting as well as the unpleasant sensation of queasiness. Taking ginger in any form can help, but one of the most effective ways of using it is to freeze a 50/50 mixture of ginger juice and water into cubes and let one slowly dissolve in your mouth. The cooling sensation on your tongue is a distraction from the nausea, while the water helps to gently rehydrate your system without shocking your stomach. This is one of the biggest ginger health benefits. Ginger is full of the anti-inflammatory agent gingerol, which can help with a wide range of health problems. For example, many sufferers of irritable bowel syndrome find ginger lessens the symptoms by reducing the inflammation of the gut walls. Also, gingerol can reduce arthritic joint swelling, helping to ease the pain. Ginger’s anti-inflammatory properties have another powerful benefit. By reducing swelling in the cardiovascular system, gingerol can help control blood pressure. This lowers the risks of heart disease, stroke, and even dementia. Ginger has been highly valued in eastern cuisines for millennia. Part of this is down to its spicy flavor, but its main benefit is that it acts as a powerful digestive aid. Modern science has confirmed that it stimulates the serotonin receptors in the gut wall, which helps to calm cramps, reduce gas, and increase nutrient absorption. But ginger’s positive effects on digestion go way beyond that. Studies have shown that ginger has a role in preventing cancers of the gastrointestinal tract, including stomach, esophagus, and colon cancer. 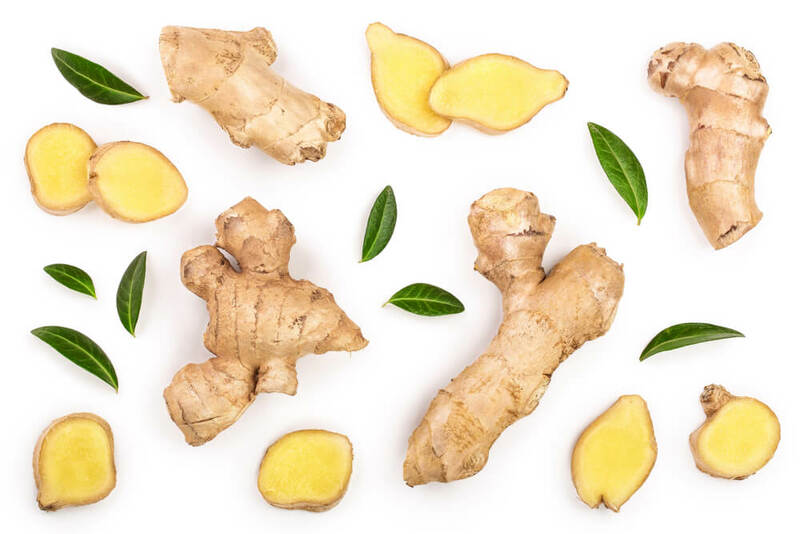 What’s more, ginger makes a good partner for chemotherapy treatments, reducing the side effects while appearing to enhance the therapeutic benefits. If you have acne problems, then once again ginger’s anti-inflammatory action can come to the rescue. By reducing the swelling in your skin, it reduces the visible signs of acne, leaving your skin looking clearer. As an extra benefit, its antioxidant properties promote skin healing to subdue your breakouts more quickly, with less chance of leaving scarring behind. Lastly, ginger is an excellent way of relieving the symptoms of the common cold. Its spicy aroma and anti-inflammatory properties help to clear itching noses and throats. Even better, ginger contains chemicals called sesquiterpenes. These attack the rhinovirus, which is one of the main causes of colds. Ginger is so much more than a warming winter spice. Whether you take it in fresh, juice, or supplement form, its many health benefits mean it deserves a place in anyone’s medicine cabinet.